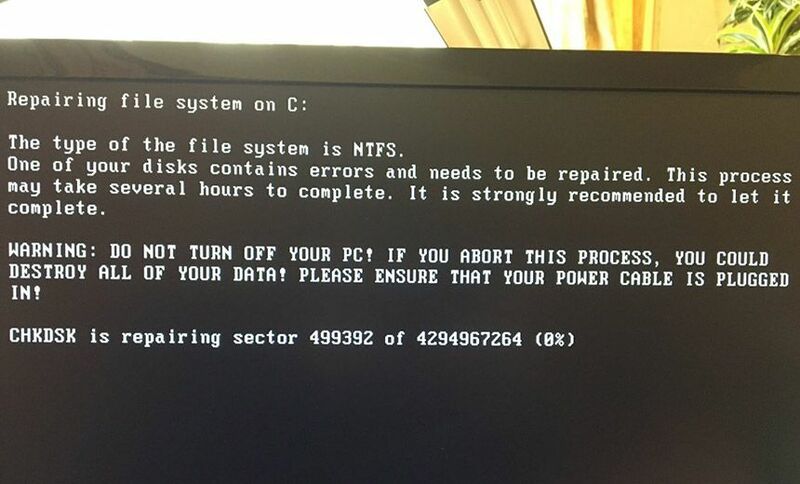 A massive, global ransomware outbreak has been hitting airports, banks, shipping firms and other businesses across Ukraine, Russia, the United Kingdom, Denmark, India and beyond, security experts say. And they warn that infections could soon spread throughout North America. Already, organizations ranging from Ukraine's central bank and Kiev's Boryspil Airport to Russian oil producer Rosneft and Danish shipping giant Maersk all appear to have had systems compromised by the attack. The new attacks follow the WannaCry ransomware outbreak that began spreading globally on May 12. Security experts say the latest attack may also be spreading thanks to it targeting a server messaging block - SMB - flaw in Windows, which has been patched by Microsoft. Kaspersky Lab researcher Costin Raiu says the attack involves a recently compiled version of Petrwrap - a version of Petya - which historically has been distributed as part of a ransomware-as-service operation (see Crypto-Locking Ransomware Attacks Spike). Raiu says the ransomware also has "a fake Microsoft digital signature appended." Mikko Hypponen, chief research officer at Finnish anti-virus firm F-Secure, says this version of Petya has been demanding about $300 worth of bitcoins as a ransom payment, in return for victims receiving a decryptor. A handful of victims already appear to have paid. Security experts have been sharing samples of the ransomware and urging anti-virus vendors to immediately add signatures for the malware to their products to help blunt the outbreak. One security firm has suggested that the attacks might trace not to Petya but a similar type of ransomware. Security firm BitDefender believes the ransomware is GoldenEye, and that it encrypts files on a PC as well as NTFS structures. "This approach prevents victims computers from being booted up in a live OS environment and retreiving stored information or samples," BitDefender security researcher Bogdan Botezatu says in a blog post. "Just like Petya, GoldenEye encrypts the entire hard disk drive and denies the user access to the computer," he says. "However, unlike Petya, there is no workaround to help victims retrieve the decryption keys from the computer." But security firms Avira and Symantec have both confirmed that the ransomware involved in these attacks is Petya. They say that like WannaCry, it is spreading via MS17-010, an SMB version 1 flaw that existed in all versions of Windows since XP and came to light in April, via a dump by the Shadow Brokers of "Equation Group" tools, which many believe to be from the National Security Agency. Microsoft quietly patched the SMB flaw - exploited by an Equation Group tool called "EternalBlue" - in all supported operating systems in March, followed by releasing free, emergency patches for Windows XP, Windows Server 2003 and Windows 8 users late on the same day of the WannaCry outbreak. Security experts say the outbreak serves as yet another reminder to ensure that all affected Windows systems have either been patched or otherwise protected against EternalBlue (see Bug-Fixing Imperative: 'Patch, Protect or Pray'). "New Petya uses the NSA EternalBlue exploit," Hypponen says via Twitter. "So Wannacry was not enough of a wake-up call. You would think everybody would be patched by now." "Old Petya wrapped in EternalBlue is going to hurt," says Alan Woodward, a computer science professor and cybersecurity adviser to the EU law enforcement intelligence agency Europol, via Twitter. Initial reports suggest organizations in Ukraine may have been hardest hit. Ukraine's central bank, as well as numerous banks and businesses, including the state postal system and telecommunications agency, as well as at least one power distributor, apparently have been affected. Kiev's Boryspil Airport also warned that flight delays were possible. "As a result of these cyberattacks, these banks are having difficulties with client services and carrying out banking operations," according to a statement issued by Ukraine's central bank, which blamed the outages on an "unknown virus." Ukrainian Deputy Prime Minister Pavlo Rozenko reported that at least some government computer systems had been compromised by the ransomware. On Twitter, he posted a picture of a compromised government system. Security experts say the image showed the ransomware actively crypto-locking the contents of the PC. Ukraine's security council secretary, Oleksandr Turchynov, speaking just after news of the attacks broke, suggested that they may have been launched from Russia. "Already on first analysis of the virus it is possible to talk of Russian fingerprints," Ukraine's National Security and Defense Council quoted Turchynov as saying, the New York Times reports. Some security experts say multiple reports of new cyberattacks all appear to involve the same ransomware. Russia's Rosnoft - one of the world's biggest crude oil producers, by volume - also disclosed via Twitter that it has been hit by "a powerful hacker attack" that has affected some of the company's servers. "We hope that this has nothing to do with the current judicial procedures," the statement added, in reference to a court case the producer is fighting against the Sistema conglomerate. But Rosnoft says its production systems have not been affected by the attack. "A hacker attack could have serious consequences, but thanks to the fact that the company switched to a standby system for managing production processes, neither the production nor the preparation of oil was stopped," the company tells the Financial Times. Copenhagen-based shipping group A.P. Moller-Maersk first confirmed attacks Tuesday afternoon, European time. It says business units in multiple regions, including Britain and Ireland, had been affected. Moscow-based cybersecurity firm Group-IB tells Reuters that one of Maersk's logistics firms, Russia-based Damco, was also affected by the attack. Meanwhile, the attacks are continuing. "It is too early to tell what we are dealing with right now - is this another wave of WannaCry? A new variant? The same actors or - as we predicted some time ago - a new adversary taking the lessons that WannaCry provided and running with them?" asks Galina Antova, co-founder and chief business development officer at cybersecurity firm Claroty. "We will know more in hours and days - but what should be very clear at this point in time is the fact that the threat landscape has evolved rapidly ... over the past few years - and that evolution seems to be speeding up in 2017," she says.